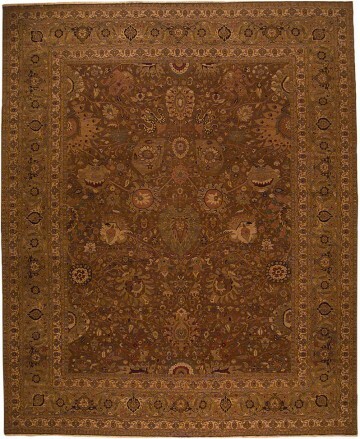 Bold 18th Century Tabriz delights the eye with palmette, Lotus blossom, sunflower and peacock design elements framed by an intricate multi-tiered border. Olive green and gold are imbued with charcoal accents on an eggplant field. 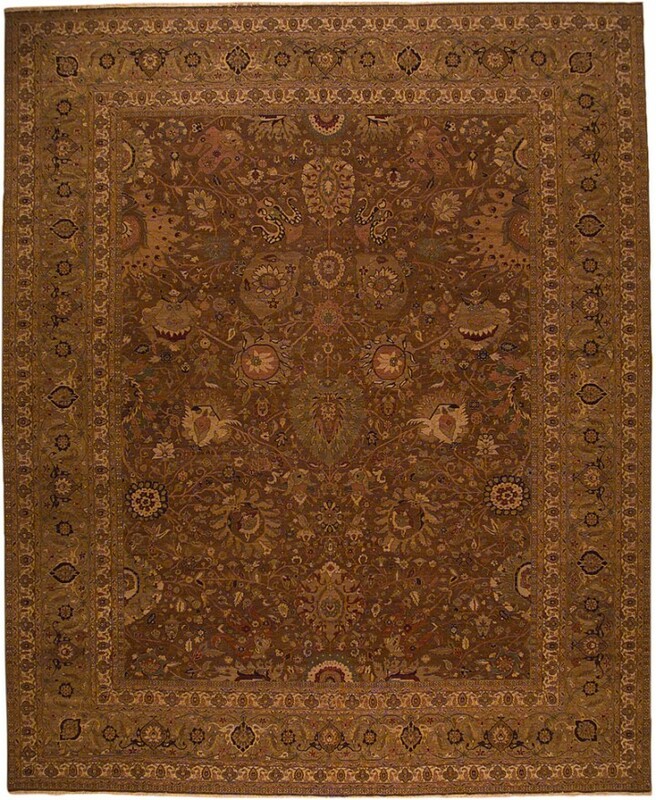 Woven of the finest handspun wool with a hard-twist technique, this rug may have taken 5 weavers up to 15 months to complete. It has more than 300 knots per square inch, or more than 7 million knots.